Jamie here to share a birthday card! 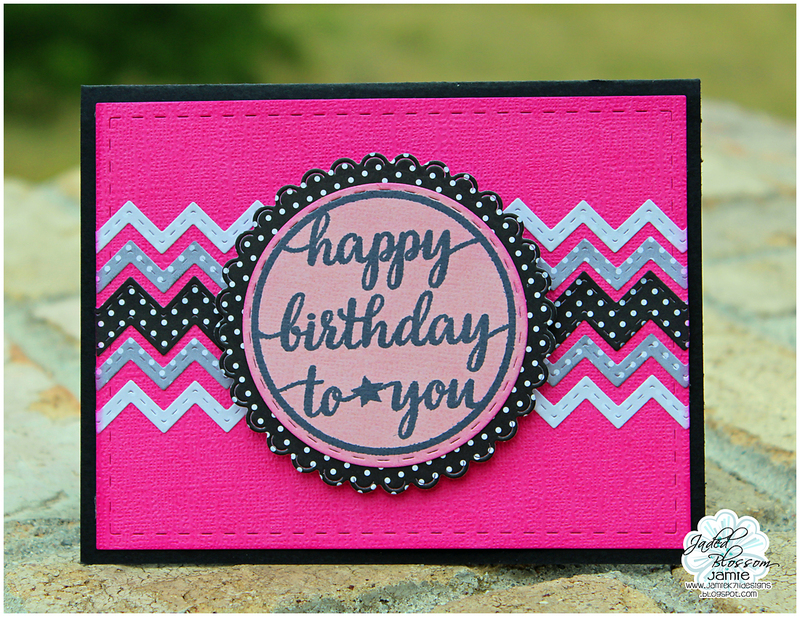 I started off with the Card Mat Dies and then used Border Dies for the Chevron. Next I stamped Birthday in Style onto a Stitched Circle Die and added it to a Scallop Circle Die. Last I pop dotted it to the center of the card!